I had to lean over the lanai wall to get this picture. 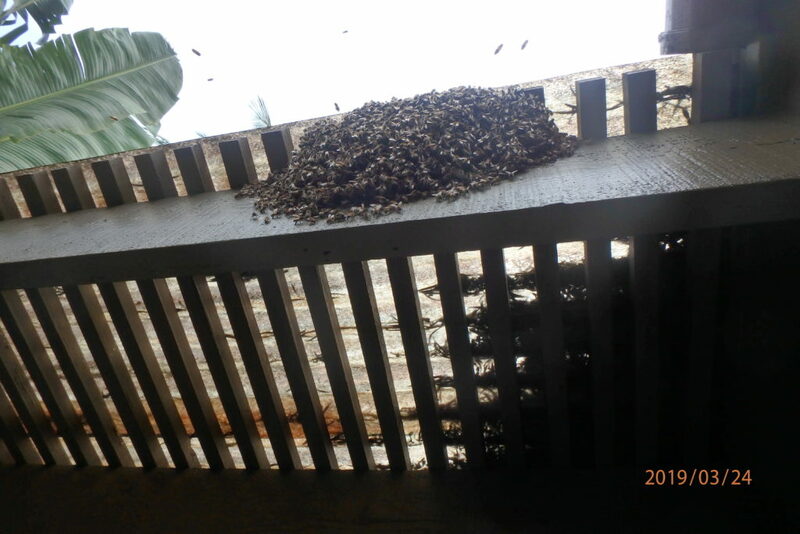 It was a fairly large swarm. Since they were so high up I had to use a bucket to grab them. The guy who called is the used car sales manager at a local dealer. While I was grabbing them he was trying to sell a car. He told me he would sell me a used car for $300 over what he paid for it. With thousands of angry bees buzzing my head I really didn’t what to hear a sales pitch. He was a very nice guy though, and I got most of the bees.